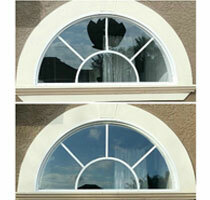 Glass Maxx is Tampa's source for custom cut mirrors in every shape and size and we can frame them for you too! 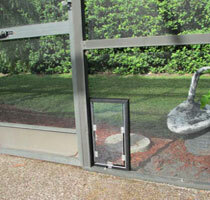 Update your framed shower enclosure with a new, modern framless enclosure! 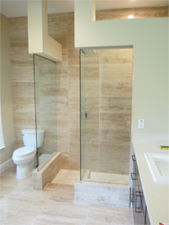 Call Glass Maxx for your framed shower enclosure installation and repair needs! Call Glass Maxx today for a free shower enclosure estimate! 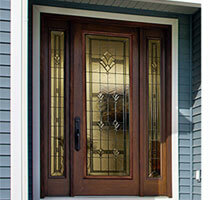 Glass shower doors & enclosures from Glass Maxx are built to last. Choose from our line offramed or frameless shower door and enclosure configurations, and we will provide you with plenty of glass and hardware options to create the perfect glass shower for your space! Glass Maxx provides a free glass shower enclosure consultation with one of our professional designers to help with selecting the glass for your new shower enclosure. Your shower enclosure consultant will help you select the right glass, hardware, layout, and shape to ensure your new shower enclosure meets all your expectations. 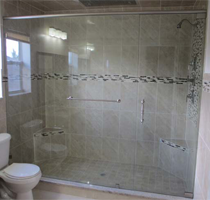 There are two basic types of shower enclosures: frameless shower enclosures and framed shower enclosures. As the names indicate, these terms refer to the frame (or lack of) between the pieces of glass that make up your shower enclosure. The main difference between the two is that frameless shower enclosures are made with heavier glass and does not require additional structural support provided by a frame. As a glass fabricator, Glass Maxx is able to offer nearly unlimited options for the size and shape of your glass shower enclosure. New construction techniques and advances in glass have also made it possible to offer "floating" enclosures that do not need a header or even a door! The glass for your new shower enclosure is available in a variety of colors and textures. Regardless of the glass you select, all shower enclosures from Glass Maxx are available with a protective coating of EnduroShield® for maximum longevity and ease of cleaning. EnduroShield® is an ultra-thin transparent coating that completely adheres to the surface and provides protection that will repel both water and oil-based stains. Similar to a non-stick fry pan, cleaning is made easier using only water and a mild detergent or with a microfiber cloth. No longer is scrubbing with harsh toxic cleaners needed, EnduroShield makes cleaning a breeze. The superior protection also helps prevent the build-up of mold and harmful bacteria, promoting a germ-free environment. Untreated glass, tile, and grout surfaces are porous and as a result absorb mineral deposits and soap scums, making it very difficult to clean. EnduroShield® can be applied to all new or existing bathroom surfaces. Visit EnduroShield's website for more information. 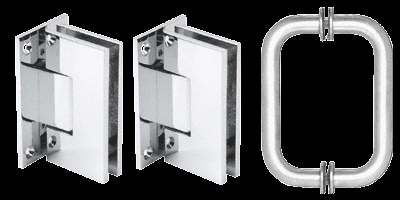 The main frameless shower enclosure hardware pieces to look at are the door handle and hinges and the brackets that hold the glass in your enclosure in place. Glass Maxx offers a wide variety of shower hardware from top brands to guarantee you find the right hardware for your new enclosure.